Now that spring is here, it's time to recover. As you may know, winter can be hard on the skin. Between the wind and cold outside and the dry heat inside, many of us end the season with our skin feeling chapped and parched. Our first instinct is to reach for topical solutions, and those can certainly be helpful. But did you know that you can supplement your efforts to repair or even prevent winter skin damage and that dry, itchy feeling with, well, a supplement? You can! 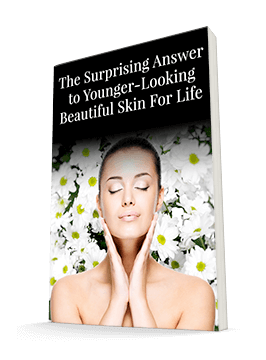 Most of us don't think beyond lotions and potions or perhaps dietary changes when it comes to improving the skin. But oral supplementation can be helpful as well. A study published in Clinical Interventions in Aging tested a particular micronutrient supplement containing nutrients like biotin, B vitamins, silicon and other minerals. They tested it on women between the ages of 35 and 55 who were prone to experiencing negative effects on their skin during the winter months. The researchers divided the 80 participants into two groups. One group took the supplement daily for four months, while the other took a placebo. The researchers evaluated their skin before the study started, at the end of the four months, and six weeks after the study period had ended. They used a variety of tests, including a Visioscan, standard macrophotography, a skin tension evaluation, a high-frequency skin ultrasound, and self-assessments to measure the effects of the supplement. In the placebo group, roughness increased over the study period, but the group receiving the supplement did not experience any changes. The same was true for skin thickness - it decreased quite a bit in the placebo crowd but held steady for those receiving the supplement. These results indicate that the supplement helped the women stave off winter's usual effects on the skin, keeping it strong and smooth. You'll find ingredients similar to those in the supplement used in this study in Healthy Hair & Nails. This supplement is remarkable in that it improves your skin, hair and nails - all at once. Don't let the winter weather rob your skin, hair, and nails of their beauty and health.